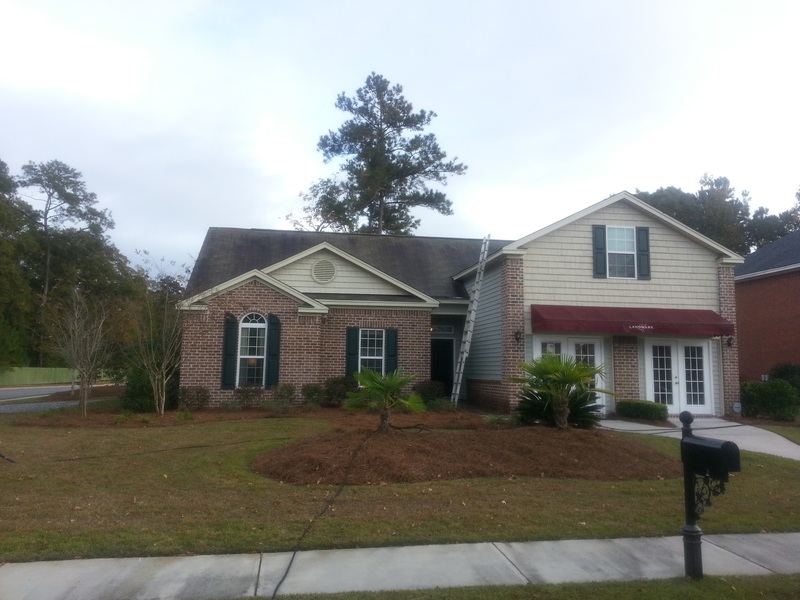 Since 2009 Chatham Property Maintenance has been a industry leader in the Savannah’s safe roof cleaning industry. Our mission is to provide commercial and residential clients safe roof cleaning services. What is growing on your roof? 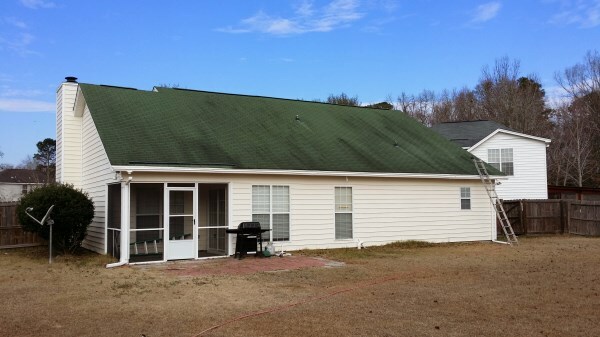 Due to the coastal and humid climate of Savannah, GA. and surrounding areas algae (often mistaken as mold) or moss growth on roofs are a common problem. These growths on your roof certainly affects the aesthetics of your roof moss is the only of the two found to be damaging to your roof. Why Choose Us? Safe Roof Cleaning! 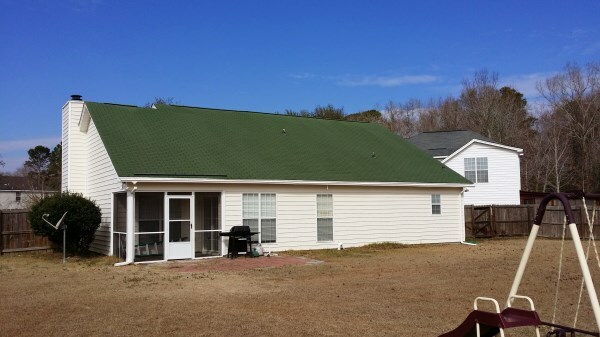 We follow Asphalt Roofing Manufactures Association (ARMA) standards for roof cleaning. 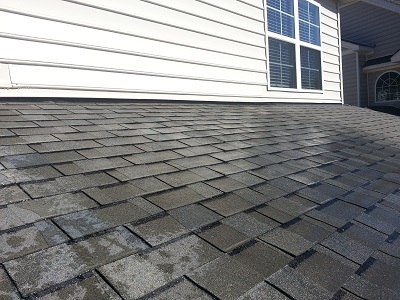 We use ECO friendly process to protect your landscape during our safe roof cleaning. 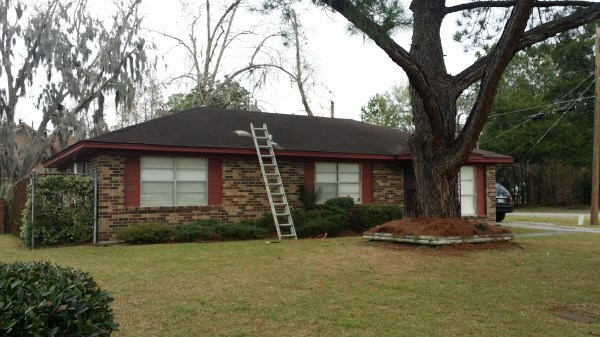 We provide immediate results with our roof cleaning process. 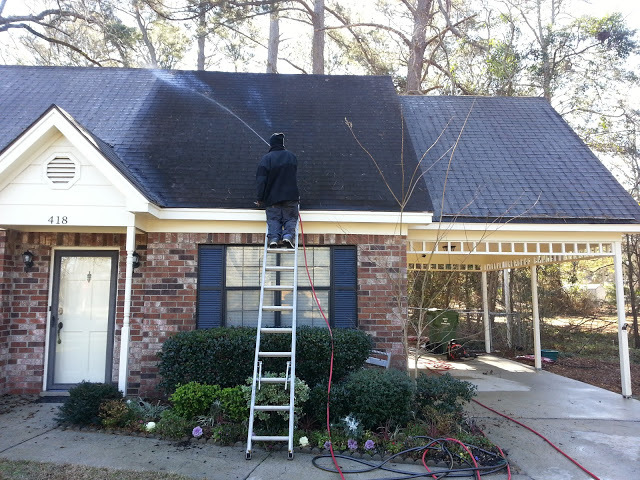 We never use a pressure washer to clean asphalt shingle roofs this will very likely cause premature failure of the roof system. Above is a picture of a roof that has a severe infestation Gloeocapsa magma. 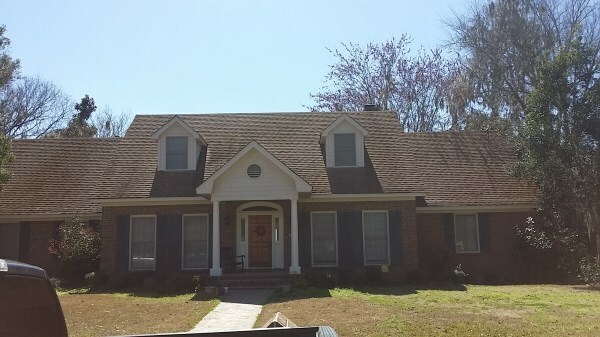 This is a severe case the Gloeocapsa magma has completely covered the roof making the shingles appear black. Above is an after photo after we had safely removed the Gloeocapsa magma using our professional non-pressure roof cleaning equipment. Above is a picture of the home after we have safely removed the Gloeocapsa magma from the roof using a non-pressure cleaning process. 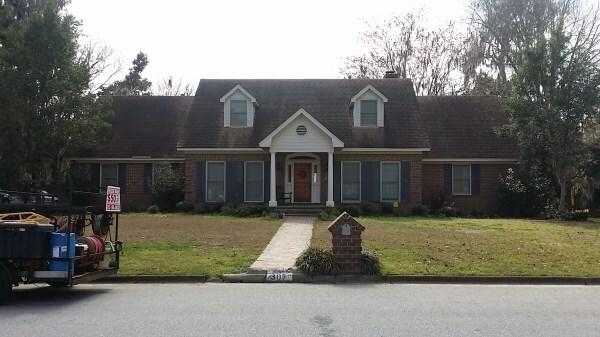 Above is a picture of a home located in Downtown Savannah, Georgia with brown shingles that has a extreme infestation of Gloeocapsa magma. This was a steep pitched roof which we safely cleaned from the ladders. After Photo once all the black streaks had been removed using our roof cleaning chemicals and non-pressure cleaning process. Our roof cleaning process is very safe . 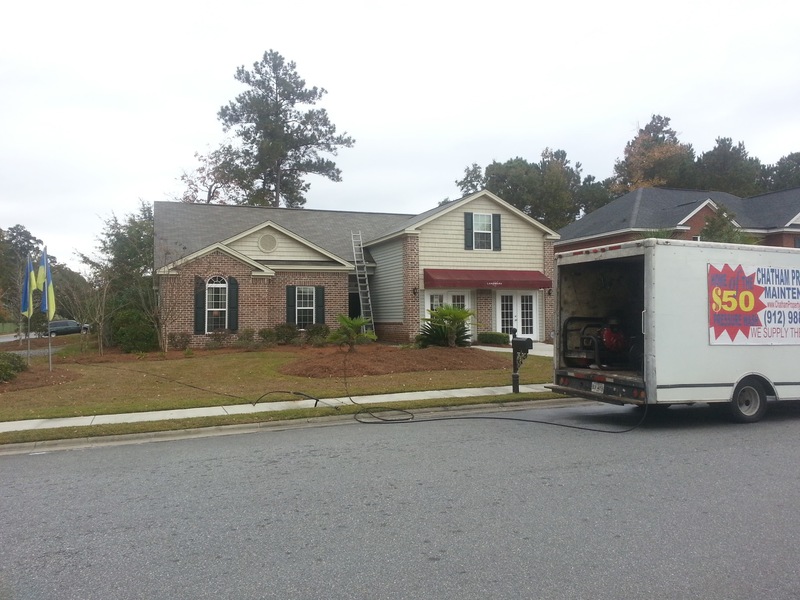 We clean your roof with pressure that is equivalent to your garden hose. Savannah's leading roof cleaning specialist. Safe, Effective and Efficient. 912-988-3832. We know that there are companies who provide roof cleaning services which takes months for your roof to come clean. Our process and procedures are eco-friendly. To much water can damage plants so we only believe in ECO FRIENDLY PROCESSES. 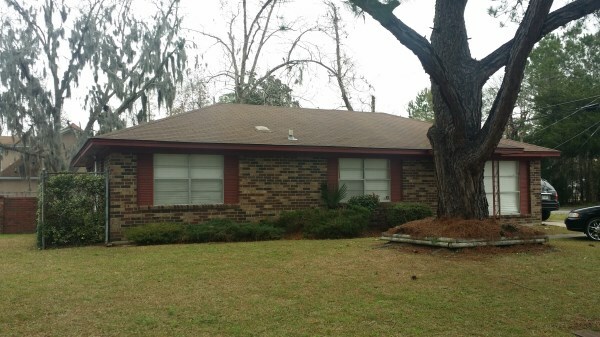 We have seen an average of 3 years before your roof starts to show signs of mold again. In some cases we have seen the cleaning last 5 years. 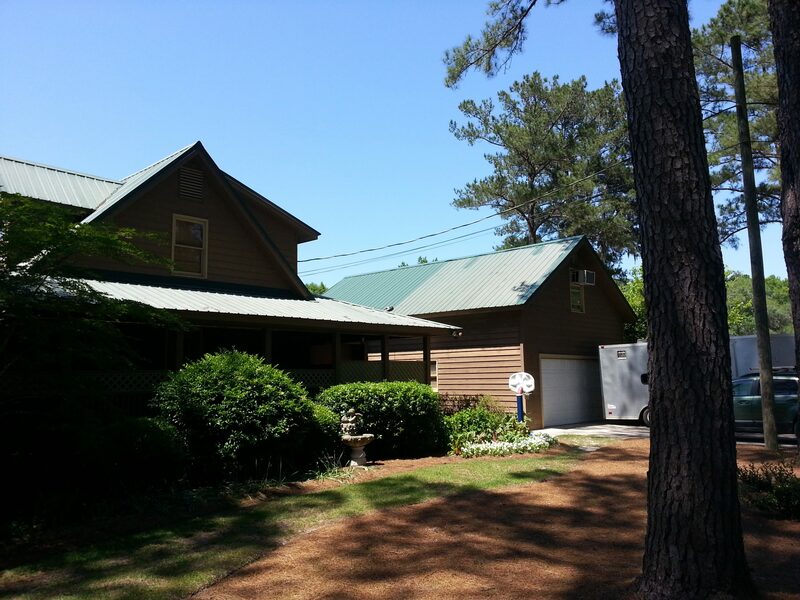 This is a specialty service, it takes lots of training and specialized equipment designed for roof cleaning. 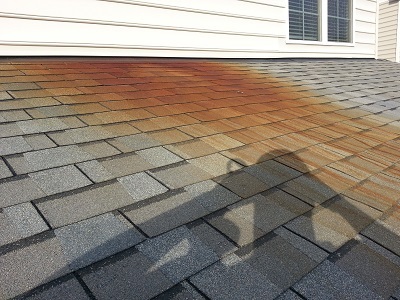 This is not something you just let anyone do, or you will regret ever hearing of roof cleaning. 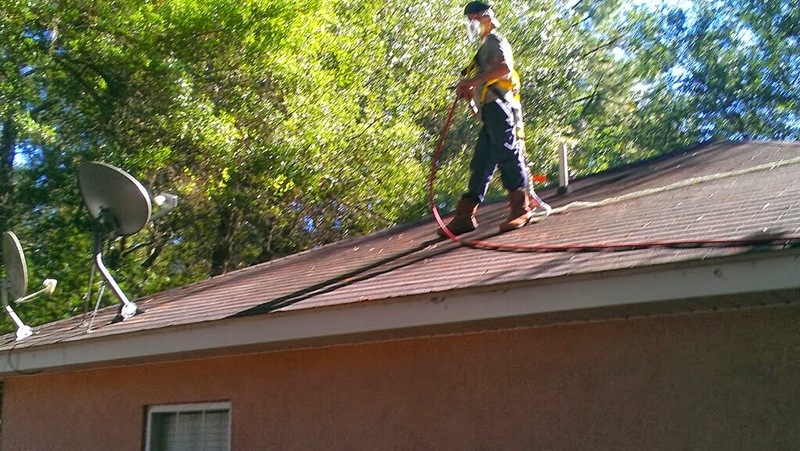 We are trained in proper roof cleaning procedurs. Contact Us To have it DONE RIGHT! Safe, Effective and Efficient ROOF CLEANING!! !